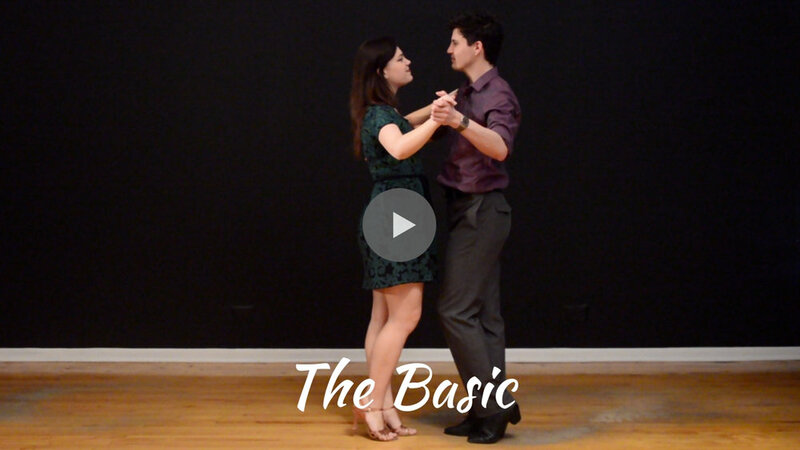 After learning all of the essential dance elements, you are now ready for your first dance step, the basic step. Leaders always start with the left foot and followers always start with the right foot. Keep your weight on the supporting foot during the "taps" (count 4 and 8). In other words, you shouldn't be shifting your weight while tapping. It's a good idea to practice to songs with different tempos. This will help you get more familiar with the basic and become a better dancer in general. Feel free to use this playlist for practice.